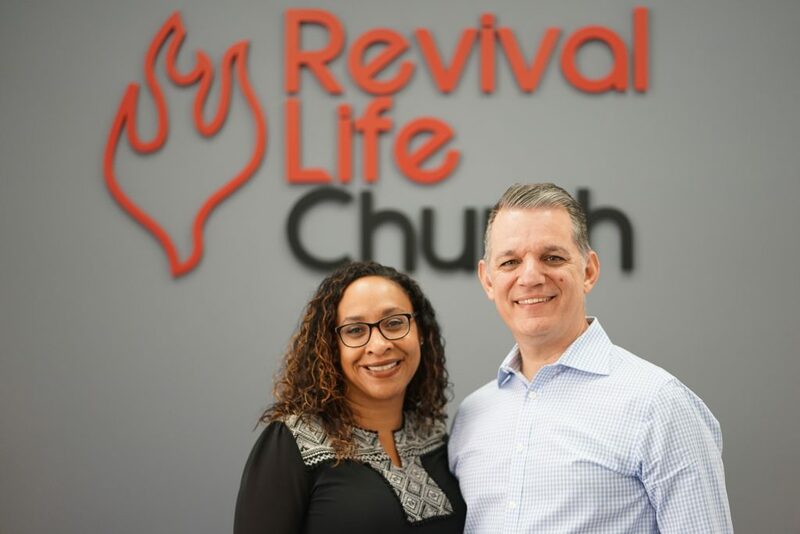 Revival Life Church is a Christian ministry dedicated to seeing people come into a dynamic relationship with Jesus, empowered by the Holy Ghost, without the religious baggage. What does that mean? Let me try to explain. In matters regarding orthodox, Christian doctrine, Revival Life Church is conservative. In short, we believe that the Bible means what it says. Nothing is more important to us than helping people meet Jesus. We will stop everything, and go anywhere to introduce someone to their Savior. But we don’t believe that it is done after that. Meeting Jesus is the beginning of the relationship. If you truly know Him, you should hear His voice. You should be able to figure out what He wants you to do. You should be able to talk to Him. You should be able to learn His ways. This type of dynamic relationship with Jesus has changed us. We are dedicated to it. Jesus said that it is better for us that He is in heaven because He would send His Spirit to give us power. It is time to quit trying to change yourself. Jesus gives power to transform lives. Do you have power? If you did, you would know. If you don’t, it’s time. 4. …without the religious baggage. When Jesus came to the earth, He spoke to people in the language that they knew. He didn’t make the people learn a new language to hear Him. He did not make his disciples get new suits, make new friends, change their hair, or like a different style of music. When I met Jesus, He did not make me do any of that. But when I got to church, they did. There are principles that are wise. There are principles that are Biblical truths. You have to know the difference between the two. Making unwise choices is up to you. Making choices against Biblical truths is sin. There is a difference, and too much of the Church does not make the distinction. I don’t care how you wear your hair. I don’t care what kind of clothes you wear. If you want to wear a fancy hat you can, but you might be the only one with it on. I started Revival Life Church with a vision for revival. We have a different style of music, a different sound of preaching, and a different way of ministry. Come join us for a life in revival.